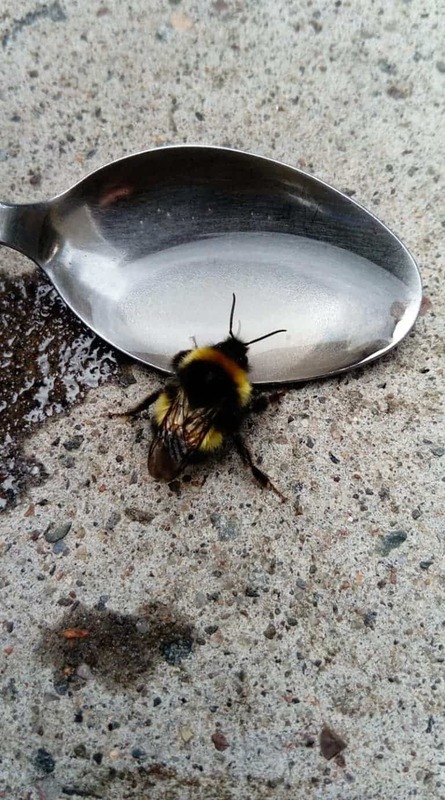 As bee numbers continue to plummet, they need every bit of help. Sure, the big difference will come from reducing our use of pesticides and protecting the ecosystems that bees rely on, but even small, individual gestures are significant. The call did not remain unheeded, and many fans posted their own ideas and results. There are several things you can do on your own to help bees (and other pollinators), whether you live in an urban or a rural area. Here are some of them. set up a bee-friendly garden (or victory garden) — you don’t need to be a specialist or know anything about gardens. Just opt for simple, diverse plants that bloom. Bees love flowers and herbs of all sorts. If you don’t have a garden, you can just use pots. plant around the year — it’s important to have flowers that bloom in all seasons, or as many of them as possible. Some bee species are active all year, others only in April and May, still others in July and August, and they all need to eat something tasty. go easy on the chemicals — if you’re working on your own garden or pots, odds are you don’t need to use any chemicals. But if you do, make sure to opt for bee-friendly substances. let the grass grow — mowed lawns can look good, but taller grass helps offers bees much-needed shelter. use peat-free compost — peats are threatened habitats, there are plenty of alternatives available. choose ethically-sourced honey — not all bee-keepers are the same. Bee populations have been dwindling, with the reasons not being completely clear. However, numerous studies show that pesticides (especially a group of pesticides called neonicotinoids) are one of the main causes. Urbanization and a constant reduction in habitats are also to blame, as are industrial agriculture, parasites/pathogens, and climate change. As bees are crucial pollinators, a world without bees would also mean a world without fruits, vegetables, nuts, and seeds. Thankfully, many countries are already taking much-needed steps to protect the tiny critters. After several European countries have already implemented partial neonicotinoid bans, the European Union as a whole passed a total ban total ban on bee-harming pesticides.